Yes, some people who like their insurance won’t get to keep it. Here’s why. That it was misleading to say that everyone that liked their health insurance could keep it. That it’s unfair that some people have to give up their current plans and pay more for new coverage. The NBC News report is mostly right on the first part. But it’s the second part– the question of fairness– that has people outraged, and it’s that part that NBC and other media outlets have gotten wrong. This statement falls in sort of a grey area between oversimplification and outright falsehood, but to understand why, first you have to understand why it’s mostly true. So for at least 95% of the country, President Obama is correct when he says that if you like your insurance you can keep it. So when President Obama says that if you like your insurance you can keep it, this is what he’s talking about: 95% of Americans aren’t really affected, and if you had a plan you liked before Obamacare, it was grandfathered in. Reduced existing annual benefit limits or added limits. The fact is that insurance companies cancel plans or make changes like that all the time. When the Department of Health and Human Services (HSS) released the regulations on grandfathered plans, it estimated that between 40% and 67% of plans would lose their grandfathered status the following year due to plan changes and turnover. As Think Progress notes, this was widely covered in the press back in 2010, so it’s a little bizarre that NBC News, who “broke” the story, is reporting it as a huge bombshell that was kept hidden by the Obama administration. HSS, who released the numbers, is part of the Obama administration. Still, President Obama (and to be fair, everyone else) did know that a large number of plans would be canceled as an indirect result of Obamacare, yet kept repeating the “if you like your insurance, you can keep it” line. The White House deserves some of the heat it’s getting for this. However, the part that really has people outraged is the seeming unfairness: not only are people’s policies being canceled, but their new policies could cost more. This is the part that NBC and other outlets have largely gotten wrong. What if the worst happens, and Dianne needs to be hospitalized due to sudden illness or injury? Well, unless Dianne is suffering complications due to pregnancy, her plan covers nothing. If she’s having complications from pregnancy, it covers fifty bucks. It’s not just CBS– other networks are doing the same shoddy reporting. NBC News reported on a California woman who was told by her insurer that her current plan, which costs $293 a month was being canceled, and was offered a new plan at $484 a month. That sounds crummy, but how does that price compare to plans she could get on California’s new Obama marketplace? NBC News didn’t check, but The American Prospect’s Paul Waldman and the L.A. Times did, and found that she can actually get a slightly better plan for less than she’s paying now. 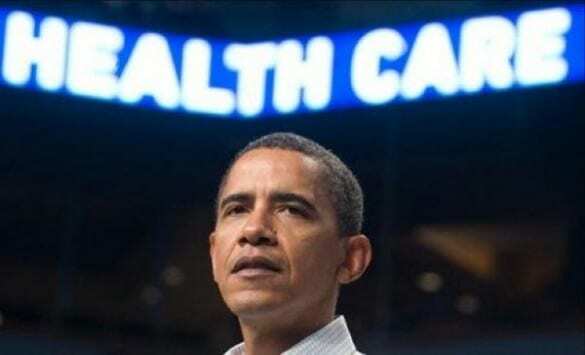 And that’s without factoring in subsidies– according to the Times, at her current income she’s eligible for a subsidy of over $200 per month, meaning Obamacare will save her $3,000 per year in premiums. There are some people with decent insurance whose policies are being canceled, and for whom new comparable policies will in fact be more expensive. These people– mainly young, healthy men who make too much to qualify for subsidies– have taken to America’s op-ed pages to rail against the unfairness of it all. But again, it’s worth looking at why their plans are so cheap. Here’s how insurance works: Very few of us can afford to pay for a major illness, but it could happen to any of us, so we pool our money together (in the form of premiums)– then if someone gets sick, money from everyone in that pool covers the medical expenses. 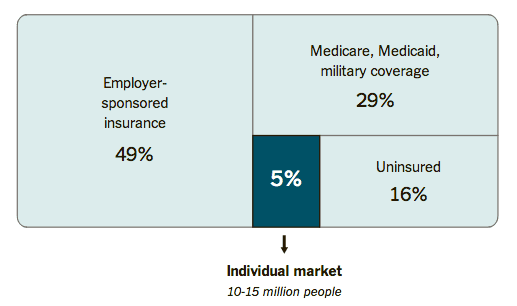 The cost of premiums depends on the average healthiness of the people involved. If there are more healthy people in the pool, premiums are lower; if the people in the pool are more likely to get sick and have expensive medical bills, premiums go up. Before Obamacare, plans on the individual market kept the pools healthier (and thus premiums lower) by keeping the old, sick, out… or charging them and women (who might become pregnant, which is expensive) exorbitant rates to get in. So to those with decent coverage before who are complaining that their premiums are going up under Obamacare, know that your premiums were lower precisely because people with pre-existing conditions couldn’t get affordable coverage. That’s why it bothered us whenever we heard President Obama say that if you like your plan, you can keep it. Not only was it misleading, but the fact that some people wouldn’t keep their old plans was kind of the point.